The idea of an objective, transcendent, and eternal force, law, or “way of things” is one that is found in nearly every culture of the world. 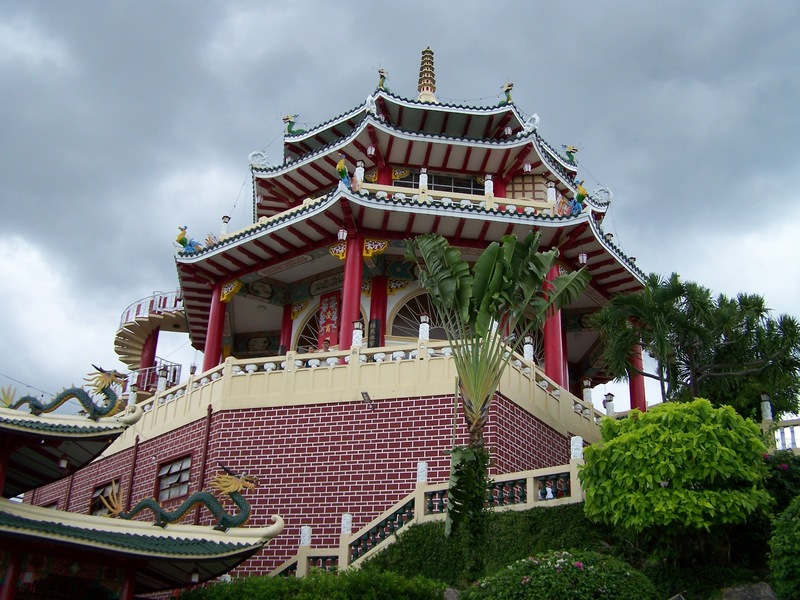 In schools of Chinese philosophy such as Taoism and Confucianism, this idea has been called the Tao, or Way; in ancient Greek thought as well as in later Jewish and Christian philosophy and theology, this concept was labeled as Logos, or Word; and, in Indian thought including both Hinduism and Buddhism as well as other varieties of Indian religion, the idea was first referred to as Dharma and later identified as Brahman. The content of these ideas as they were developed within their respective cultural, religious, and philosophical homes reflects both the diversity of cultural expression as well as a remarkable fundamental unity in thought across civilizations, geography, and time. According to Alan Chan, a professor of philosophy, “a key term in the philosophical vocabulary, it [the Tao] informs early Chinese philosophy as a whole” (“Laozi”). The idea, however, “is interpreted differently” throughout the thought of the various philosophical schools of ancient China. One of the earliest and fullest treatments of the Tao in Chinese thought is found in the philosophy of Kongzi (551-479 BCE), better known in the English-speaking world as Confucius (Ivanhoe, Readings in Classical Chinese Philosophy, p. 1). For Kongzi, the Tao, as the Way of heaven, is largely a concept that reflects ancient Chinese morals and mores. He urged his students to “set your heart upon the Way, rely upon Virtue, lean upon Goodness, and explore widely in your cultivation of the arts” (Kongzi, The Analects, 7.1, in Ivanhoe, Readings in Classical Chinese Philosophy, p. 21). In the thought of Kongzi, there was a golden age which had preceded the current age of decline. In that golden age, people observed all of the customs and conventions associated with propriety and virtue in ancient China. Since then, however, people had fallen away from observing the proper rituals and, as a result, Chinese society had entered a period of decline. While viewing the Tao in spiritual terms, as the Way of Heaven, Kongzi’s concern is largely social and political, rather than religious or otherwise metaphysical. For Laozi (a legendary figure held by popular mythology to be a contemporary of Kongzi), the only other Chinese thinker whose ideas can be said to have had an influence equivalent to or greater than that of Kongzi, the Tao was something similar but simultaneously quite different (Ivanhoe, p. 161). Laozi maintained the earlier view, reflected in Kongzi’s thought, that the Tao is the Way of Heaven, the all-pervading and governing principle of the universe. He also maintained Kongzi’s view that there had once been a golden age during which people had been at harmony with the Tao, and therefore with themselves, with each other, with the world around them, and with heaven itself. They had lost their original harmony with it through too much ambition, striving, strain, and stress; they had thereby injured themselves by separating themselves from their nature and from the Tao. This is the point at which Laozi separates from Kongzi in his analysis and prescription. Rather than viewing the problem as fundamentally social and turning to traditionalism and social conservatism for salvation, Laozi viewed the problem as, at heart, a spiritual problem, a problem in the soul of man, and one whose only solution was in man’s soul and, according to Laozi, this solution often entailed a retreat from the social world altogether. According to Jacob Needleman, a professor of philosophy, in the view of Laozi, “man is built to be an individual incarnation of this whole [the Tao]. His good, his happiness – the very meaning of his life – is to live in correspondence and relationship to the whole, to be and act precisely as the universe itself is and moves” (Feng and English, Tao Te Ching, p. xiv). In viewing the Tao in terms of nature, spirit, and the individual, Laozi’s thought departs widely from that of Kongzi, which viewed the Tao in terms of society, ritual, and organization. The two thinkers are agreed, however, in the fundamental assertion that there is a Tao, a Way of Heaven, a law, guiding force, and governing principle in the cosmos. In this harmony, they also find agreement with thinkers from a wide variety of other cultures; fascinatingly, many of these thinkers with similar ideas were their contemporaries and near-contemporaries. In Greece, at the nearly the same moment that Kongzi and Laozi were developing and teaching their ideas of the Tao, the philosopher Heraclitus (535-475 BCE) introduced the concept of the Logos, a word meaning both “Word” and “Reason,” into Greek thought. 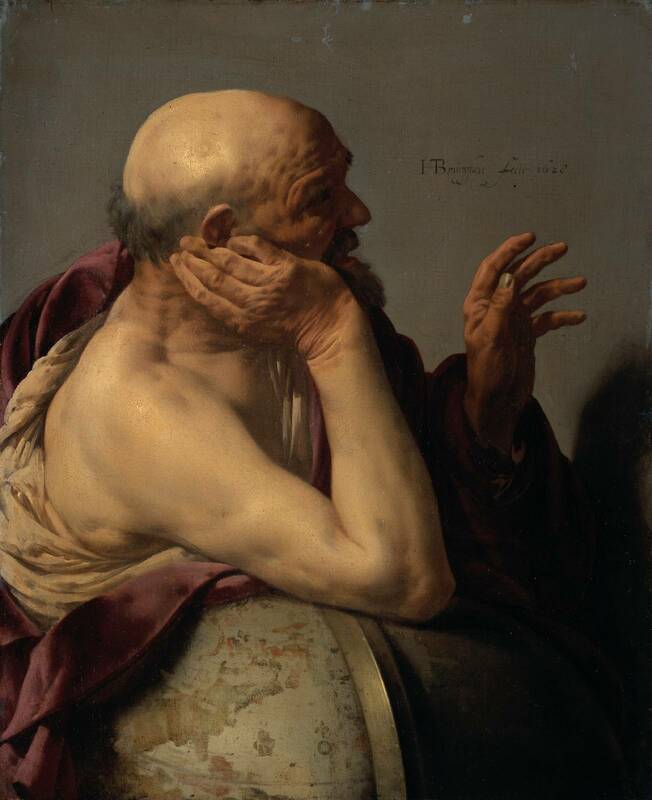 According to Richard Tarnas, a professor of philosophy and psychology, in Heraclitus’s thought, the Logos was “the rational principle governing the cosmos” (The Passion of the Western Mind, p. 45). Frederick Coplestone, a historian of philosophy, describes Heraclitus’s logos as “the universal law immanent in all things, binding all things into a unity and determining the constant change in the universe according to universal law” (A History of Philosophy, p. 43). This is an idea, developed nearly simultaneously with the views of Kongzi and Laozi but thousands of miles away and in a very different cultural context, that bears a remarkable resemblance to the concept of the Tao in Chinese thought, especially in the thought of Laozi. The views of Heraclitus in regards to man’s relationship with the Logos are also remarkably similar to the views of Laozi. According to Coplestone, Heraclitus urged that “man should … strive to attain to the viewpoint of reason [that is, of the Logos] and to live by reason [the Logos]” (A History of Philosophy, p. 43), a view nearly synonymous with those of Laozi. And the Tao was God. The word “Tao,” of course, is here being used to translate the word “Logos” in the original Greek of the biblical text. In addition to this similar idea from Western thought, Indian thought also provides examples of concepts very similar to the concept of the Tao in its ideas of Dharma and Brahman. According to James C. Livingstone, a professor of religion, “in the Vedas,” which texts represent some of the earliest developments in Indian religion and philosophy, “the word dharma stood for an eternally fixed moral law that underlies the universe” (Anatomy of the Sacred, p. 362). So central to ancient Hindu thought was the concern for coming into concord with this law that, “in the later law books,” such as the Law of Manu, “dharma came to refer specifically to the duties and obligations of social life” (Livingstone, Anatomy of the Sacred, p. 362). 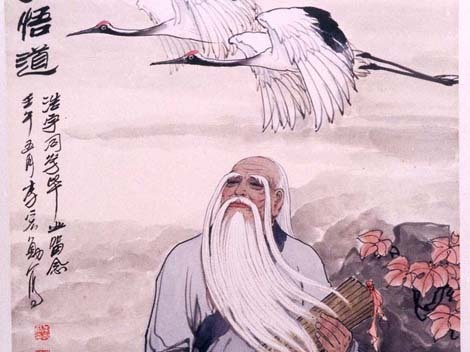 Whereas from its inception the Logos of Heraclitus bore a similarity to the Tao as it was developed in the thought of Laozi, the Dharma in its inception bears a much closer resemblance to the Tao as enunciated in the thought of Kongzi. As in Kongzi’s philosophy, the earliest Indian thought on Dharma viewed it largely as a matter of social important, a set of laws, rituals, customs, and conventions to be followed in order for people to attain social harmony and person prosperity. In later Indian thought, however, the Dharma would come to resemble something much more similar to Laozi’s more spiritual and personal version of the Tao. In Hinduism, for example, the Dharma would be associated closely with the idea of Brahman, the “God [who] is being, awareness, and bliss” (Smith, The World’s Religions, p. 60). Just as meditation on the self-identification of the God of Judaism and Christianity as “I AM,” or the root source, underlying principle, and governing force of existence, in Exodus 3:14 would lead later Jewish and Christian thinkers to an identification of God with the Logos of Greek thought, this very similar description of the Supreme Being in Hinduism demonstrates the similarities of Brahman, Dharma, and Tao. Also remarkably similar is the Hindu treatment of the relationship between man and Brahman. 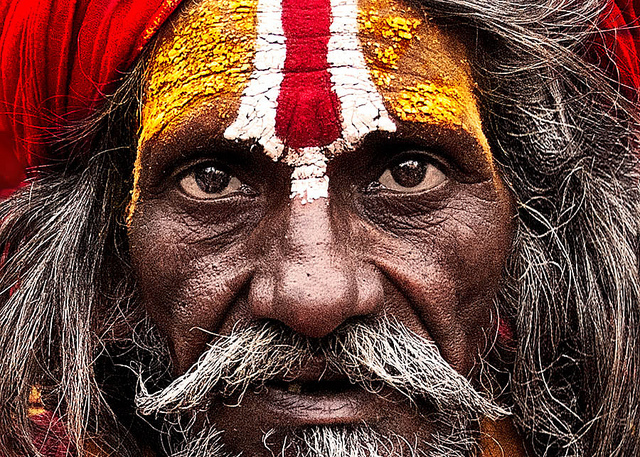 According to Hindu thought as developed in the Upanishads, a set of mystical, theological, mythological, and philosophical texts, the most important of which were written between 1000 and 600 BCE, Brahman is also identical with the atman, the personal soul of each individual human being. This identification of the atman with Brahman sounds very much like the identification of the Logos, as universal Reason, with the reason inherent in each person, as well as with Laozi’s concept of each man as intended to be an embodiment and reflection of the Tao. There is also a further similarity with Jewish and Christian thought here in the biblical assertion that human beings were created “in the image of God” (Genesis 1:27). Although the Buddha (563-483), a contemporary of Kongzi, Laozi, and Heraclitus, rejected the Hindu concept of Brahman, in splitting with the Hinduism developing during the period of the composition of the Upanishads, his ideas concerning Dharma also present a noteworthy comparison here. According to professor and spiritual leader Eknath Easwaran, in the thought of the Buddha, “dharma expresses the central law of life, that all things and events are part of an indivisible whole” (The Dhammapada, p. 12). Here again there is emphasis on an underlying principle which in some sense unites and governs the cosmos. And, in the Buddha’s thought, yet again emphasis is placed on the need for each individual to come into harmony with that principle and thereby attain peace for one’s self and for the world. Across cultural boundaries and, in the ancient world, nearly insurmountable geographic expanses, at a point in time nearly simultaneous, several of the great civilizations of the world, China, Greece, the Middle East, and India, saw thinkers introduce and develop concepts that bore a remarkable similarity to each other. As Kongzi and Laozi developed their ideas of the Tao in China, Heraclitus expounded upon the Logos in Greece, Jewish thinkers developed their first ideas about a God who is Being Itself, and the authors of the Upanishads and the Buddha taught about Dharma in India. In these ideas, there is a display of cultural uniqueness and of divergence in thought, but also, and far more noteworthy, a fascinating similarity in their assertion that there is a uniting and governing underlying source which transcends and yet remains imminent within it and that man, for his own salvation both as a species and as individuals, must come into harmony with this principle. ReferencesChan, Alan, “Laozi”, The Stanford Encyclopedia of Philosophy (Fall 2012 Edition), Edward N. Zalta (ed. ), URL = . Coplestone, Frederick. (1946). A History of Philosophy, Vol. 1: Greece and Rome. Mahwah: Paulist Press, 1946. Damascene, Hiermonk. (2004). Christ the Eternal Tao. Platina: Valaam Books. Easwaran, Eknath. (1999). 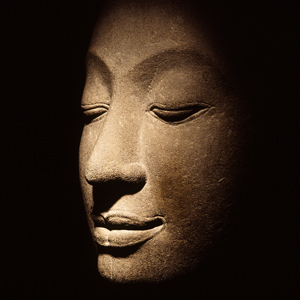 The Dhammapada. Tomales: Nilgiri Press. Feng, Gia-Fu and Jane English. Translators. (1989). Tao Te Ching. New York: Vintage Books. Livingstone, James C. (1998). Anatomy of the Sacred: An Introduction to Religion, Third Edition. Upper Saddle River: Prentice Hall. Smith, Huston. (1991). The World’s Religions: Our Great Wisdom Traditions. San Francisco: HarperCollins Publishers. Tarnas, Richard. (1991). The Passion of the Western Mind: Understanding the Ideas that Have Shaped Our World View. New York: Ballantine Books.